Hepatitis C screening is recommended for baby boomers as they face higher viral infection risk. Those who were born between 1945 and 1965 – baby boomers – have a five times greater risk of having been exposed to hepatitis C infection. For this reason, the CDC Task Force has recommended that those born during that time period be screened for hepatitis C.
Unfortunately, the screening blood test for hepatitis C is often not conducted on baby boomers, even if they go for routine medical checkups. Researchers at the University of Michigan Health System developed a way to improve hepatitis C screening making it a regular part of patient checkup. The method involves electronic medical record alerts. The automated alert would be set on a person’s electronic medical file and would send a notification if a person falls into the risk category, reminding the doctor to conduct the screening test and providing them with informational material on the subject. Although it isn’t entirely clear why baby boomers are at a higher risk for hepatitis C, the CDC suggests they may have become infected during the 70s and 80s, when hepatitis C rates were the highest and donated blood and organs weren’t screened for the infection. Hepatitis C can go without symptoms for many years. This is why screening is so important to ensure the infection is caught early on. It’s important that baby boomers be screened for hepatitis C as they have a higher risk of contracting the infection than any other age group. 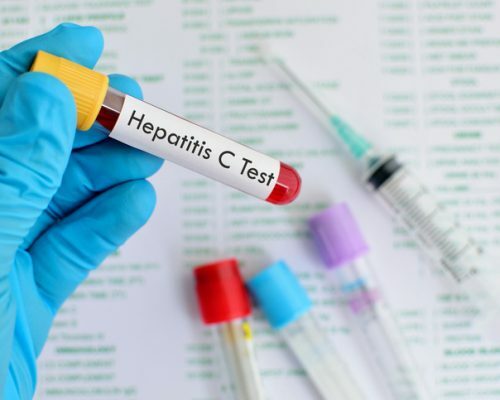 Because hepatitis C can go symptomless for many years, screening is the best defense against serious complications resulting from hepatitis C. Some of those complications include cirrhosis, liver damage, and liver failure. Risk factors for hepatitis C in baby boomers include a history of blood transfusions or organ transplants prior to July 1992, long-term dialysis treatment, exposure to hepatitis C through medical utensils like needles, infection with HIV or AIDS, being born to a mother with hepatitis C, past use of injected illegal drugs, and having received a tattoo with a needle that was not properly disinfected. Getting tested for hepatitis C is a simple procedure which involves taking a blood sample. If caught early, hepatitis C can be successfully treated with medications. The most common method of treating hepatitis C is with antiviral medications. To further improve health outcomes, it’s important to embark on a healthy lifestyle as well. This helps slow down the spread of the infection and prevent any further damage. Healthy lifestyle habits to improve outcomes related to hepatitis C include eating a healthy diet, exercising regularly, not smoking, cutting out alcohol, not sharing personal hygiene items such as razors or toothbrushes, and not sharing any needles or syringes. A slew of new medications have also come out for hepatitis C treatment to be used on their own or in combination with antiviral meds. Your doctor will determine the best mode of treatment depending on the severity of your infection. It’s important to get screened early on to ensure the treatment is timely and further reduce the risk of other complications.